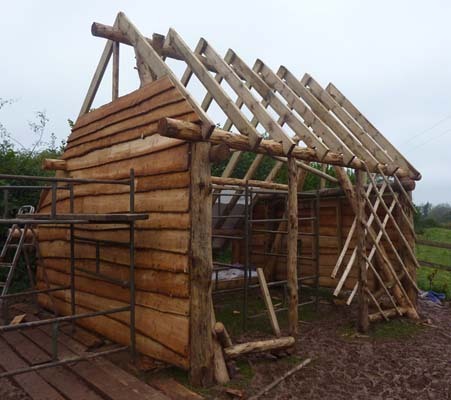 October has been a busy month, both in the woods and on site completing our round wood timber framed wood processing barn at Pontrilas. 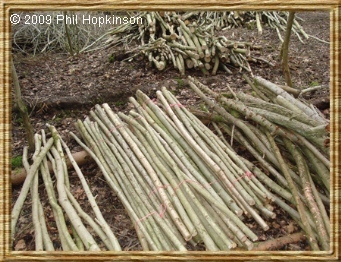 We have nearly completed the cutting of our first Ash coppice coupe, with an order for peeled poles ready for dispatch. The coupe is in the process of being worked through and the produce sorted and stacked. 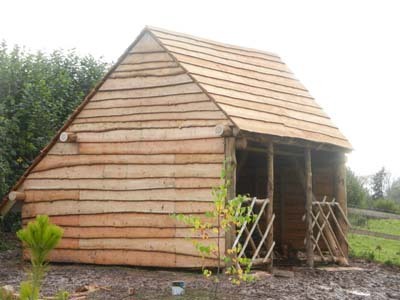 The images above are of our round wood timber framed building. 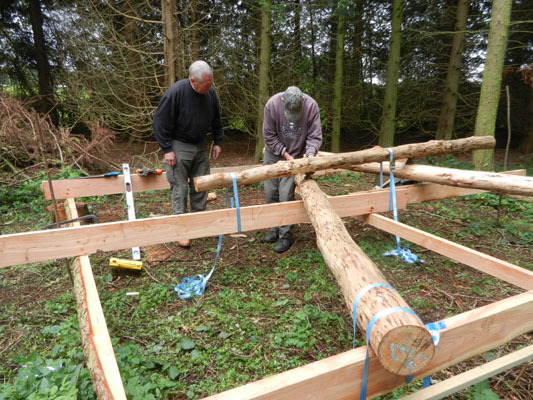 In another wood, we have built a framing bed, on which the A frames for the round wood timber framed building were peeled, jointed and prepared for site. 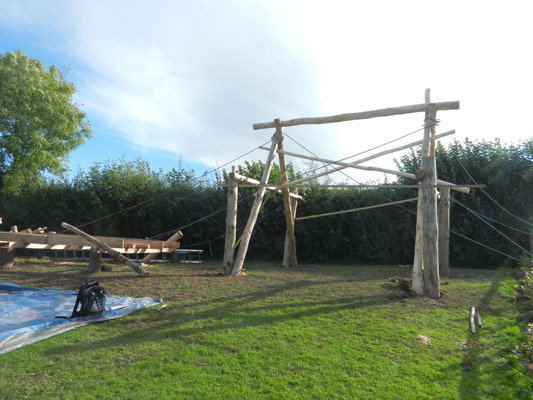 The structure was re-assembled on site, the joints pegged with Oak and the walls clad and floor boarded with the finishing touch a peeled Ash lattice front. 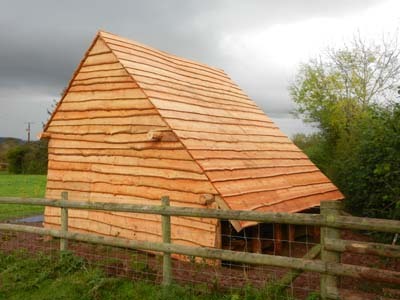 We utilised 4 species of timber, all harvested from local woodlands we manage. We are progressing on another project which has involved clearing undergrowth and thinning Willow and Alder trees around a neglected pond. 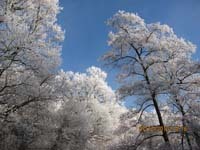 The aim is to reduce the amount of trees, increase the amount of daylight to enable more wildlife to thrive. We will be clearing out the decaying vegetation once this has been completed. We were lucky enough to watch a Kingfisher visiting the area on one recent visit. All my Popular and Aspen is now turned into kindling which will be marketed in local outlets.